Precious John has come out to deny her facebook update which has gone viral since it was published on Facebook. 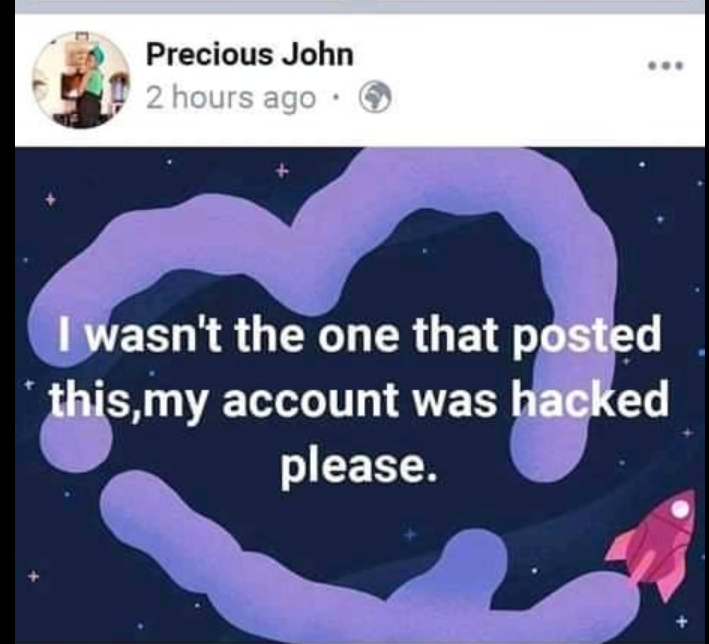 She now claims that her account was hacked. 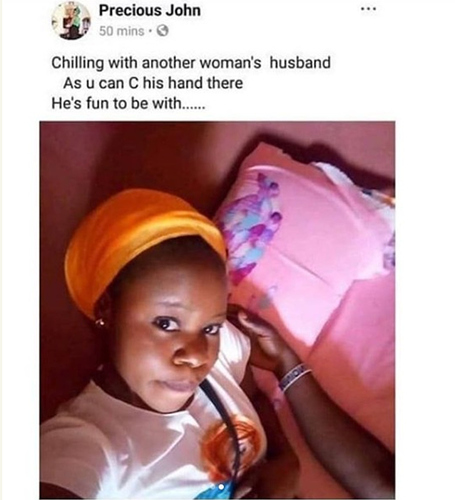 In the viral update, she had written ‘this is my feature man. 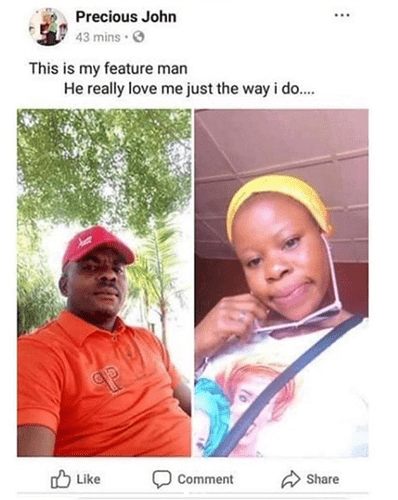 He really love me just the way I do’. 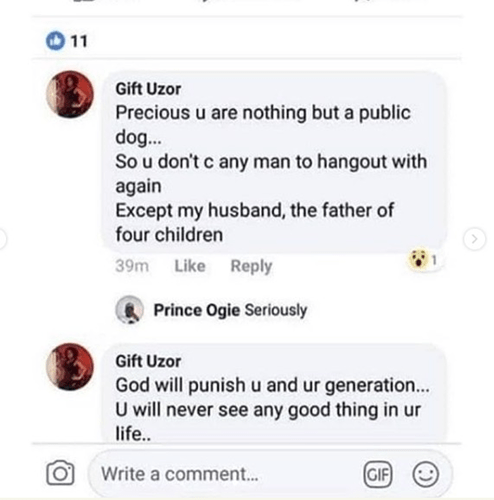 However the man’s wife stormed the page to call out the Facebook user hanging out with her husband, who according to her is the father of four children.